But it wasn’t about their favorite pizza or cereal. They yearned for healthy, affordable meals they could get on the go. 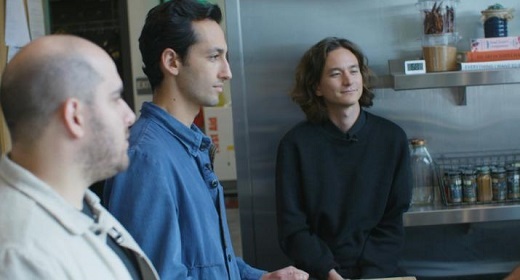 In August 2007, a few months after they graduated, the three decided to fill that void by opening Sweetgreen, a quick-service restaurant serving healthy salads and meals in a bowl. The young entrepreneurs had a very specific vision for their restaurant: while they liked the “fast” and “cheap” attributes of fast food, they didn’t want to compromise on quality or the in-store experience. “We wanted to create a fast food restaurant that kind of rejected all of the norms of fast food,” says Neman. Sweetgreen, for example, sources ingredients directly from farmers. And all of the food is prepared “from scratch” every day in every restaurant, he says. Tying it all together is the service. While the restaurants have proven to be wildly popular, finding the money to get Sweetgreen off the ground was a struggle at first. “We met with over 100 potential investors and ended up finding 40 people who agreed to invest in us,” says Neman. But the average investment was less than $10,000. “It was really people that believed in our mission and took a bet on us. Sweetgreen’s first location in Washington, DC, was a small 600-square-foot space across the street from campus that was formerly a tavern. Now, 11 years later, Sweetgreen boasts 90 restaurants and employs 4,000 workers across the United States. Earlier this month, Sweetgreen scored $200 million in funding from Fidelity Investments, bringing the total amount of outside funding it has raised to $365 million. With this latest round, the company says Sweetgreen’s valuation is now more than $1 billion. For the three men, choosing to start their own business was almost a foregone conclusion. “All of our parents are entrepreneurs, so it was really in our DNA from the beginning to start something,” says Ru, who serves as Sweetgreen’s chief brand officer. “I think it really gave me, and all of us, the permission and freedom to take a risk,” he says. It also gave them access to immediate feedback and in-house advisers. 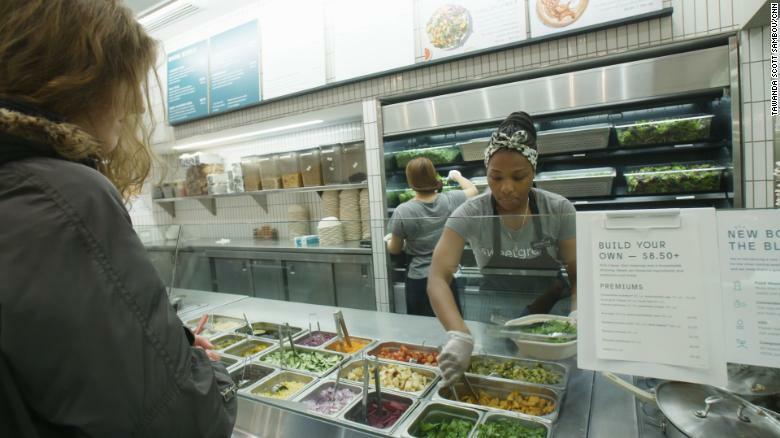 Sweetgreen operates 90 locations nationwide. Jammet’s parents were in the food business and operated a few restaurants. “Nick’s mom has been a huge inspiration and mentor to us, really teaching us a lot about hospitality, service culture, and really creating community around that,” says Neman. The founders want to keep investing in the company in order to improve their supply chain and enhance the customer experience with better technology (almost 50% of customer orders come through its app or online platforms). As part of those efforts, the company launched a pilot program in September to test food delivery at offices. They also want to contribute to the community. One way Sweetgreen is doing this is by helping schools reimagine the quality of food served in their cafeterias. The company runs a series of wellness workshops each year involving more than 1,000 students across DC, Maryland, Virginia and New York City.